There are 4 Memory Care Facilities in the Mystic area, with 1 in Mystic and 3 nearby. The average cost of memory care in Mystic is $6,600 per month. This is higher than the national median of $4,650. Cheaper nearby regions include Niantic with an average starting cost of $6,000. To help you with your search, browse the 1 review below for memory care facilities in Mystic. Better rated regions include Clinton with an average rating of 5.0 out of 5 stars. Caring.com has helped thousands of families find high-quality senior care. To speak with one of our Family Advisors about memory care options and costs in Mystic, call (855) 863-8283. Mystic is a village of Groton and Stonington, and it's home to over 4,200 residents. Roughly 35 percent of this population is 65 or older, and with 75,000 seniors across the state diagnosed with Alzheimer's disease, many of Mystic's elderly citizens may require specialized care for dementia. This type of care can be found at memory care facilities, or Alzheimer's Special Care Units (SCUs) as they're called in Connecticut. One is available in Mystic, and three other SCUs are in nearby communities. Though winters in Connecticut can be harsh, Mystic experiences a milder climate. Temperatures only drop to a low of about 21 degrees, compared to a low of 17 degrees state-wide, and only 27 inches of snow are expected per season. It's still important to check that a memory care facility has taken precautions to ensure the safety of its residents in case conditions take a turn for the worse. Mystic has no available facilities in the event of a medical emergency or illness, with the nearest major hospital specializing in brain health and dementia care located in New London (Lawrence + Memorial Hospital) and Westerly, Rhode Island (Westerly Hospital). Compared to the U.S. national average of 100, the cost of living in Mystic is 139.8, largely due to housing costs, which are more than double what they are nationally. Families may want to keep this in mind when budgeting for memory care-related expenditures. Though the Norwich-New London metropolitan area is ranked as one of the top 15 safest mid-sized metropolitan areas in the country, violent crime rates in Mystic exceed both the state and national averages. On a scale of 100, with 100 being high crime, Mystic receives a 34, compared to 21.1 in Connecticut and 31.1 nationally. Property crime rates are also high at 37.7, just under the U.S. average of 38.1. Most SCUs have security systems and surveillance equipment in place, but it's still a good idea to review their policies. Memory Care costs in Mystic start around $6,600 per month on average, while the nationwide average cost of memory care is $4,778 per month. It’s important to note that memory care rates in Mystic and the surrounding suburbs can vary widely based on factors such as location, the level of care needed, apartment size and the types of amenities offered at each community. Mystic and the surrounding area are home to numerous government agencies and non-profit organizations offering help for seniors searching for or currently residing in an assisted living community. These organizations can also provide assistance in a number of other eldercare services such as geriatric care management, elder law advice, estate planning, finding home care and health and wellness programs. To see a list of free memory care resources in Mystic, please visit our Assisted Living in Connecticut page. 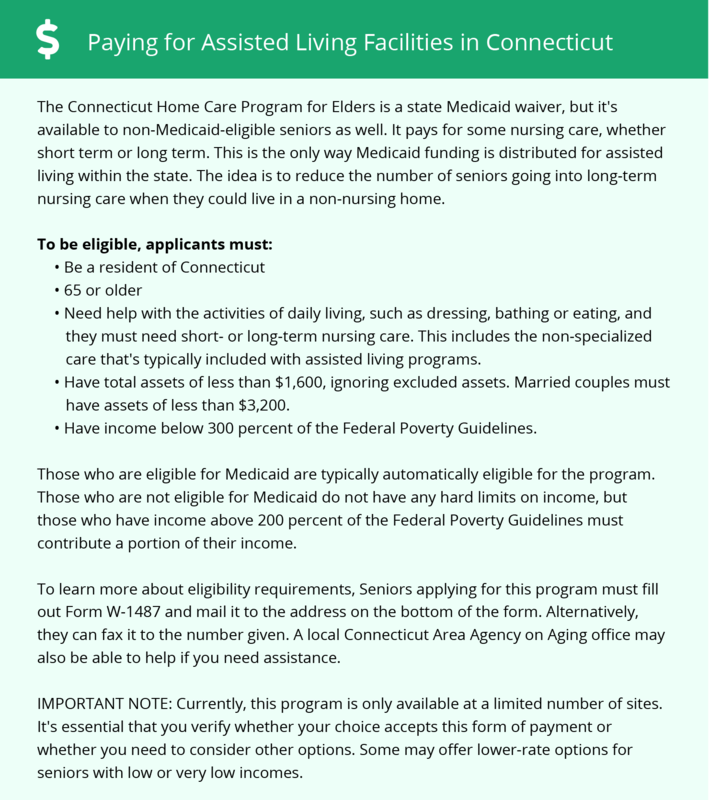 Mystic-area assisted living communities must adhere to the comprehensive set of state laws and regulations that all assisted living communities in Connecticut are required to follow. Visit our Memory Care in Connecticut page for more information about these laws.